This is an everyday look, with just a touch of glam. If I could wear this outfit all week- I would! This oversized, brushed silk blouse has become such a popular item in my closet. I picked it up in Boston, while shopping at the downtown Marshalls and I've worn in countless times since. It has such a flattering cut and the draped back makes it perfect for pairing with boyfriend jeans. I love the look of boyfriend jeans...from the front. 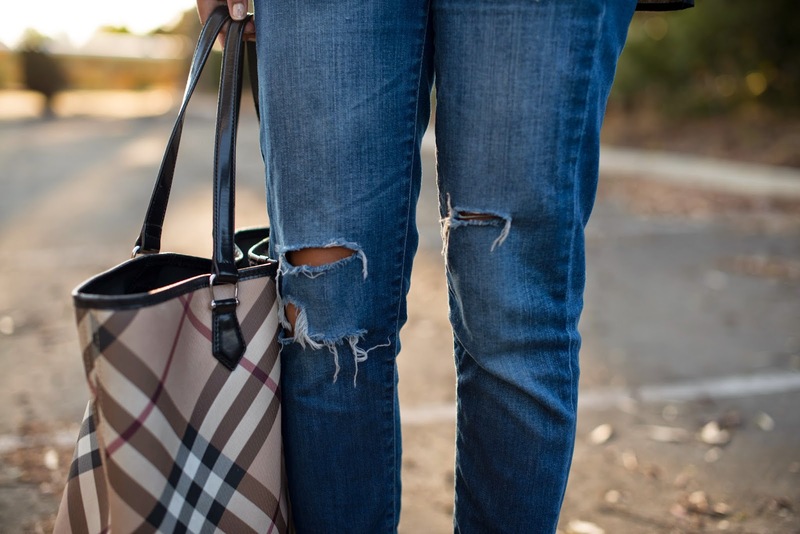 Don't get me wrong, the comfort of these slouchy jeans is comparable to a pair of sweats, but boyfriend jeans tend to sag in the backside area. Maybe it's just me! I usually like to pair them with a longer blouse (to cover my bum) and occasionally a pair of heels to have a dressier look. Plus, I'm on the shorter side, so it's nice to have my legs appear a bit longer. Can I get an amen to that? I think I'll be pairing this blouse tucked into a skirt next, so don't be surprised if you see it again soon! Love this! Glad to see the blouse on you. I would legit wear this outfit everyday if I could too.. it is perfect. And those shoes are beyond amazing! I love the outfit! 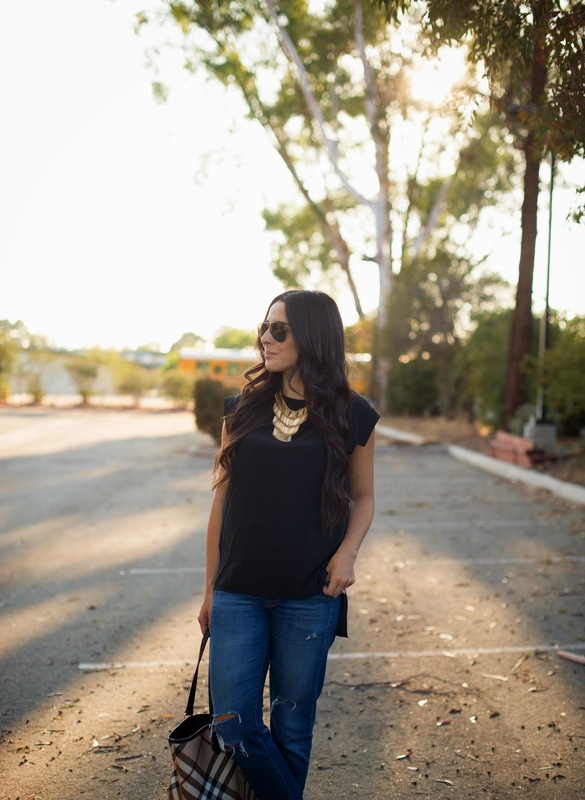 Jeans + Black is the perfect combination for any day!